Fundraiser for Glenn Goldstein by Brianna Carroll : California Charter Teachers on Strike! California Charter Teachers on Strike! Help support the brave union educators who are leading the first charter school strike in the history of California. Over 70 educators at Accelerated Schools (a three school charter chain in Los Angeles) decided they had to take a stand against high teacher turnover, unstable classrooms, and a lack of job security. 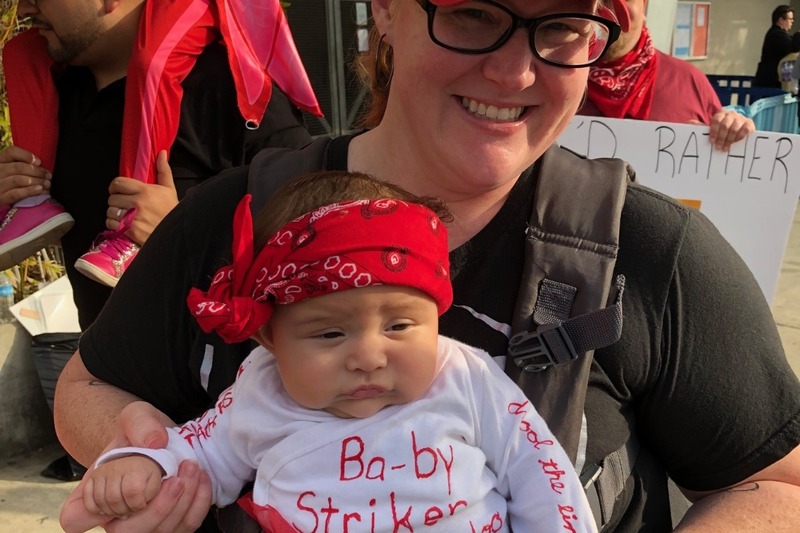 They began their strike on Tuesday, January 15 and need our help! This is a big deal. At many charter schools, teachers who speak up about problems can be fired without recourse. This lack of security makes it difficult to stand up for students and leads to high teacher turnover and instability in the classrooms. Accelerated teachers are saying enough is enough. 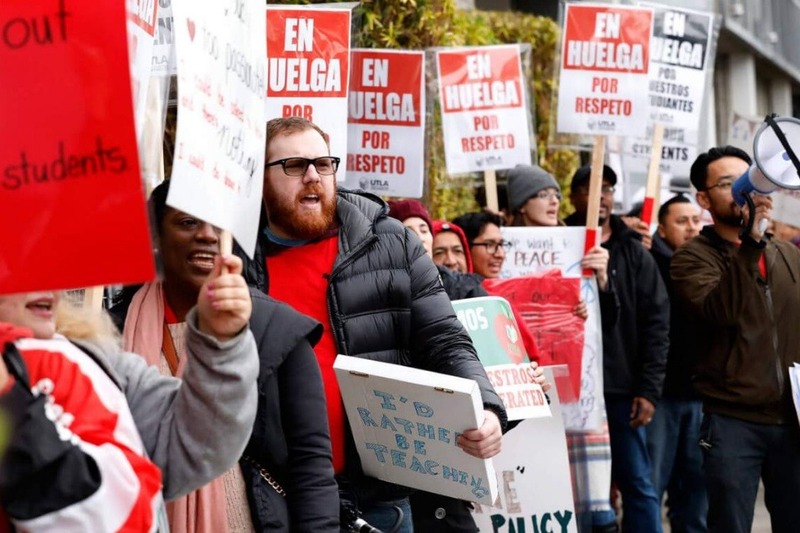 They are part of a growing movement of educators at charter schools who are unionizing, and among 1,000 charter school educators who are part of United Teachers Los Angeles (UTLA). 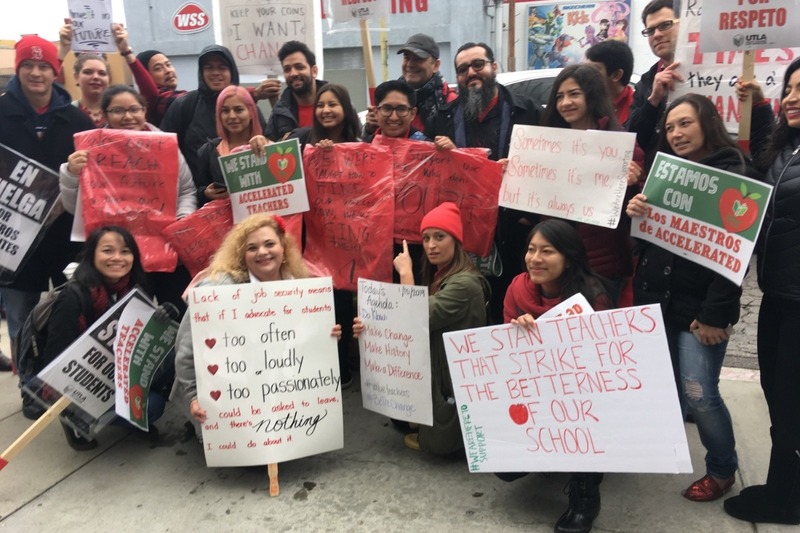 By winning this strike, they will lead the way for other charter educators to fight back and ensure better teaching and learning environments at California charter schools. Your donation will help them win. Specifically, it will support an emergency fund for striking educators at Accelerated. We will transfer 100% of the donations raised to striking Accelerated educators through their union United Teachers Los Angeles (UTLA). A committee comprised of striking Accelerated educators (Ms. Kari Rivera, Ms. Chandler Heath, Mr. Pal) and representatives of their union (UTLA Vice President Juan Ramirez, UTLA Representative Hong Bui) will work with AFT representative Glenn Goldstein to distribute the resources among the 79 impacted teachers based on immediate need. LA is expensive. Teachers are paid far too little. Many don't have much savings. Striking educators will be able to access the emergency fund to help with pressing bills, food, etc. We want to do what we can to mitigate the financial impact of their courageous action. Your support will help them win! We are an informal coalition of educators who work in union charter schools in California. We believe educators at charter schools should have a voice in decisions that impact their students and professions and that the goals of the Accelerated educators are important and should be supported. Some of us have previously benefited from support from our union charter colleagues in our own union contract struggles. We see this go fund me as a way to support accelerated educators and provide our allies with an opportunity to support this important struggle. Thank everyone for your support. We will be working with AFT representative Glenn Goldstein to distribute the resources among the 79 impacted teachers based on immediate need. We are hearing news of a tentative agreement! More details to come soon. Your support made a huge difference! We've surpassed our initial goal of $5k! Accelerated educators are completing their 6th day on the lines so we've raised our goal to $7,500 to help sustain them during this important struggle. They are fighting for fundamental rights all educators should have. Let's show them some love!